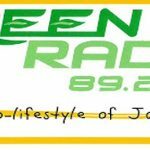 Green Radio live broadcasting from Indonesia. Latin Jazz is core choice for Green Radio and its programs. Their vision has been to be the greenest radio to by supporting their listeners with top of the class broadcasting technology that are all modern and green to environment. With this vision they have worked hard to bring the best jazz musical programs. Green Radio is one of the most famous online radio station on Indonesia.